Radisson Blu Old Mill Hotel, Belgrade is located in Old Belgrade near the banks of the Sava River, just minutes away from New Belgrade and the train station. The first designer hotel in the city, reflects the authentic ambiance of the Old Mill, the city of Belgrade and its rivers. Guests experience the spirit of the 19th century Old Mill in every detail of the interior, which displays natural colours and materials combined with the latest designer touches. 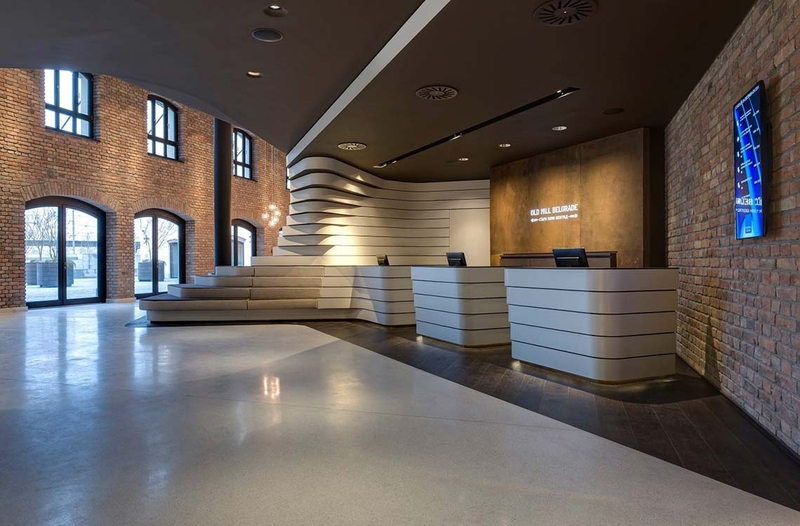 The unique atmosphere of the hotel was created by the prestigious, Berlin–based Graft Architects design bureau, which preserved the mill’s authentic heritage and mixed it with an industrial-chic aesthetic. The rooms are exclusively decorated with wall paintings by Strauss & Hillegaart artistic society. Each of 236 rooms, including 14 suites, boasts floor-to-ceiling windows and desirable amenities like Free high-speed, wireless Internet. Radisson Blu in Belgrade is the first hotel in Serbia to receive the Green Key eco-label (promoting sustainable tourism, another exclusive feature introduced on this market) and several International Design Awards.